Three document cornerstones of any business are the income statement, the balance sheet, and the statement of cash flows. Of the three, the statement of cash flows may be the most important because it's the one document that tells you whether you're going to have the money you need to run your business. It describes the flow of funds (which is your working capital) in and out of your business in the given accounting period and shows you where the business is trending—what's working well and where improvements are needed. Sometimes business owners at the beginning of their careers find the differences between these documents a little confusing, especially the balance sheet versus the statement of cash flows. Essentially, the balance sheet is a static document. It gives you a snapshot of the business at a given point in time—its assets, liabilities, and owner's equity. It doesn't say anything about how the business is trending, just that this is where it is at this particular moment. The statement of cash flows, on the other hand, is dynamic—more like a video showing you how the business is changing over time. This is essential information, because it shows you which aspects of the business are improving. Income, for instance, may be trending upward and wages or materials costs may be trending upward as well. This tells you what you need to do next to assure the continuing success of the business. Another question frequently asked is how often you need to develop a cash flow statement. In some cases, accounting professionals recommend that you prepare a cash flow statement every month because, for many businesses, monthly billings are usual and operating expense—such as rent and wages—are often paid monthly. In some circumstances, quarterly cash flow statements may work. At an absolute minimum, the statement of cash flows must be prepared annually, but to keep track of your essential trends, you may want to prepare the cash flow statement more often. 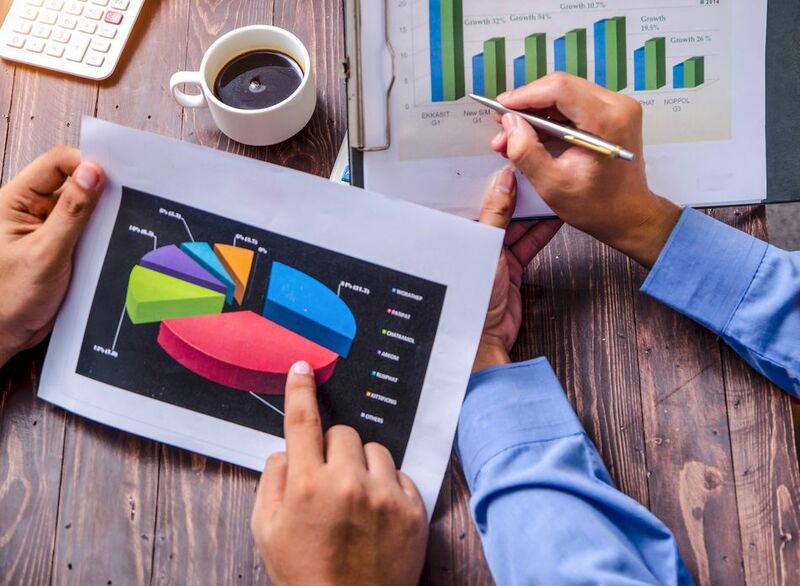 Before you can prepare a statement of cash flows, however, you'll need to prepare two other accounting documents, the income statement and the balance sheet. For a specified accounting period, the income statement shows how much money you took in—your revenue—and what your expenses were. The difference between the two is your gross profit. The income statement should be prepared as often as you need the information. Some businesses—casinos are an extreme example—may need to prepare an income statement daily. Most businesses are far less volatile, and keeping track of the business requires either a weekly or monthly income statement. The next document you'll need to prepare is the ​balance sheet. Again, the name of the document gives you an idea of what a balance sheet shows: the balance between your assets and liabilities. The balance sheet, by establishing the difference between all company assets and all company liabilities, gives you a snapshot of the worth of the business on a given date. At this point, you're almost ready to prepare the statement of cash flows. Before you can do that, however, you're going to need not just one balance sheet, but two: one for the previous accounting period and the other one for the present period you've just prepared. Why? This is because you are looking for changes from one accounting period to the next. Is revenue up or down? What about expenses? How does that affect your company's net worth? Comparing the earlier balance sheet with the later balance sheet tells you where your business is heading. The cash flow statement is all about changes in the company's cash position as shown by comparing the balance sheets of the two years. Preparing two balance sheets (or comparative balance sheets) connects directly to the next step: the development of the statement of cash flows.